This morning I read an Ann Voskamp quote saying that the remedy for anxiety is worship, or something to that effect. So true. To be full of wonder — wonderfull — how can the to-do list retain its power to freeze the veins? How can the But Gods crush and conquer? There is a very real list of things unfinished, important, urgent even — a list of things blundered and things intimidating and things impossible — staring me in the face today. Standing at the back door with a cooling cup of coffee I can choose what to see. The porch in need of repair? The grill in need of cleaning? The fence sagging, neighbors’ house peeling, grass not growing? 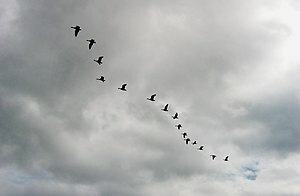 Or the tracery of branches across pale sky, geese in military formation (except for that one that can’t get it together), squirrel acrobatics? I can stare down the lists that march on my day or look past them to see the myriad opportunities for laughter. Yesterday I told the Lord that what gets me down is choicelessness. The things I want to do I cannot do, the things I pine for are out of reach. If only I could make effectual choices, I could live with the consequences, I argued. (You can see I am happily delusional). Of course, it is harder to trust, to let someone else do the choosing, and yet isn’t that kind of the cornerstone of faith — that God chose me to dearly love? So I wiggle and squirm and finally relax and try to rest. OK, God. You choose. But still He graciously gives choice every day — choose light. Choose joy. Choose the lists with their ugly power, or brush past them and choose hope. Live wonderfull. Impossible? Pah! Nothing is impossible with God.